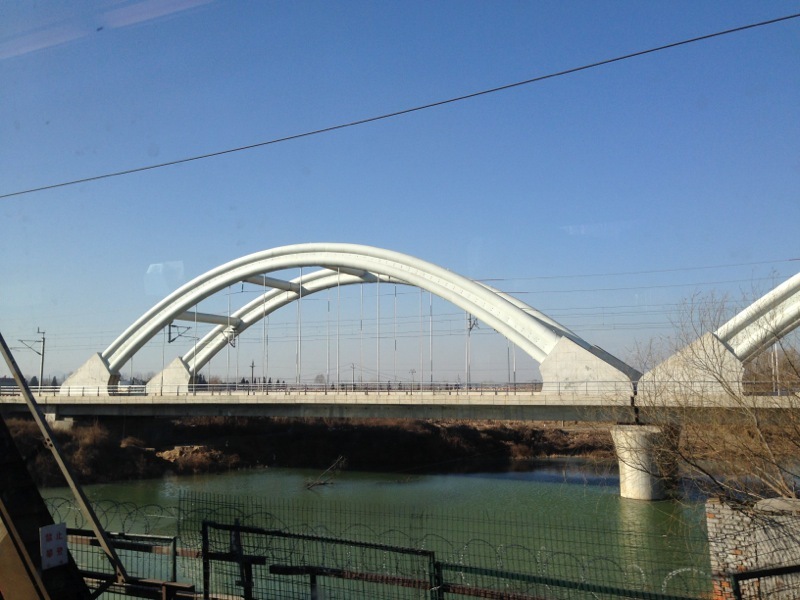 The new Tianjin-Qinhuangdao HSR that opened today seems to be a mere minnow — it is just over 250 km in length. Yet these crucial miles connect two of China’s most important north-south HSR lines: Beijing-Harbin and Beijing-Shanghai. They are merely preparing the new line today: look for the real train service zoo in late December, when Harbin-Shanghai services will be offered. 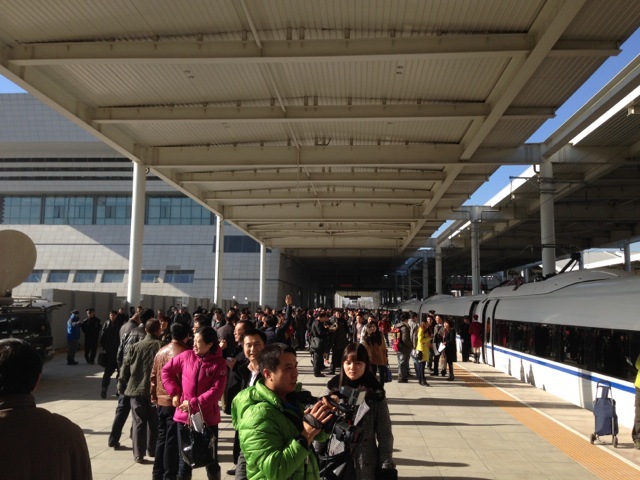 Our train departed the Tianjin West Railway Station with two cars full of media. Apparently someone was also proposing on the train! The cameras kept clicking as the sights outside the window raced by. For a change, we did Second Class (like most in the People’s Republic); both Tracy and I were incredibly pleased with the legroom — much more generous than thought, it was probably 40% – 50% more than that you’d get on a good plane. (For bad airlines, God knows how much — if at all legroom you’ll get. Expats around this part of China will focus on the more recreational factor of the new line, since it links Tianjin up with the more beachier cities: Qinhuangdao, as well Tianjin’s Binhai New District / New Area. It’s a little Australian in its opening date, though, as early December is amongst one of the more frigid months in China, firmly in the northern hemisphere (only lucky people in the southern hemisphere feel the urge to surf this time of the year). 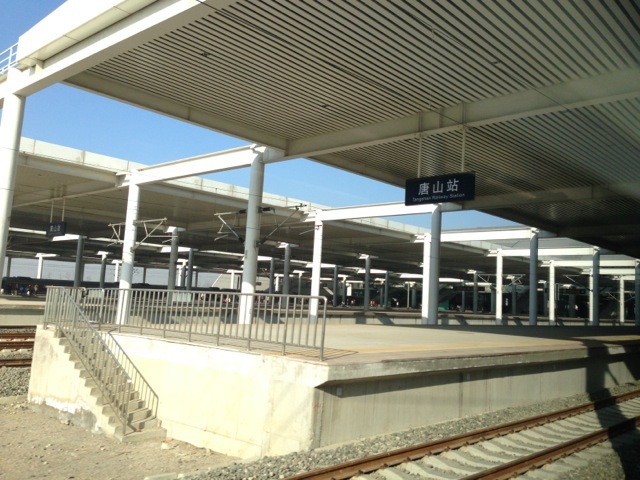 But it’s also very cool to remain “continental”: on land we have some of the newer stations in China. 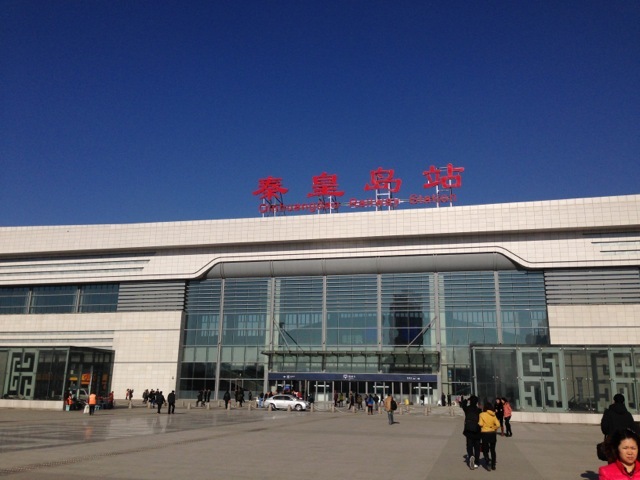 One of the most amazing stations being redone and reborn is Tangshan. In early 2005, I visited this place on my own — the station looked like a mix between a pre-1979-ish building lost in identity, and a station “trying to look modern”. I never had a chance to actually go in — it “went away” in 2011 and was replaced by a truly temporary station, which was crowded and had at times open-air waiting rooms. Imagine if the place was hit by, say, a hailstorm or thunderstorms… you wouldn’t want to think of it. 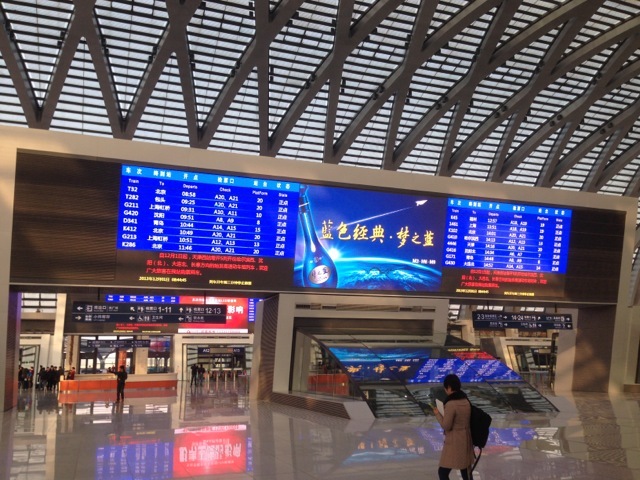 Patience pays off, though: the new Tangshan Railway Station is one of the “most-improved” stations on the new line, and for the first time, once quake-struck Tangshan has one of the world’s fastest HSR trains. But lest you thought the trains were having second thoughts: we were briefed that the line in this part of China was built in such a way that it was reinforced and would not be easily brought down by a quake. The line did take a year longer than planned, but that was because it went through difficult terrain — even if you saw nothing but flatland. Although… even if I said this was an all-flat line, I’d be wrong as well. A fair bit of this line (east of Tangshan) goes through a few tunnels — none of these through Mont Blanc-ish ones, mind you — but they did have some hillocks which couldn’t really be flattened. Before long, though, we were in Flatland Mode again, when the train slowed down after zipping through Beidaihe station at incredible speeds. HSR stations in China make getting around a fair bit easier — I’m slowly getting used to “simplified travel”. As for airports — I wish you good luck. After the chaos that was CDG Terminal 1, I will never fly through this “thing” again unless I truly desired cruel and unusual punishment unto myself. If you thought the whole trek from Shanghai to Harbin at 10+ hours was more than intolerable, let me tell you this: on HSR they have power sockets throughout, and some newer trains sport sofas that turn into beds (a la Business Class). And here’s the best thing: you can tweet and phone when the spirit moves you.